Great pezza di manzo alle erbe aromatiche (marinated beef; an old stand-by) and fish at this semi-basement Piazza del Popolo staple across the street from the deco Hotel Locarno and a few blocks from Ara Pacis. 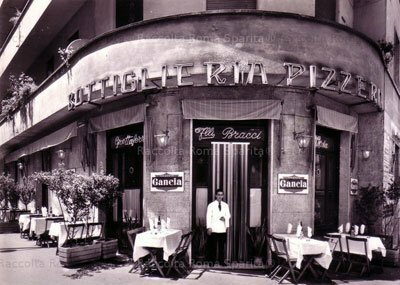 Most of the area was once owned by Rome’s all-powerful Borghese family of Villa Borghese fame. 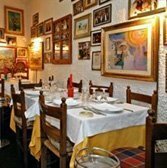 OSA, which opened in 1968, serves all the usual Roman suspects (carciofi alla giudia, puntarelle) with old-school honesty. Tables outside in summer, though they’re a little cramped. No lunch on Saturday.